"This moving fictionalization brings the whole cast of characters back to vivid life. Gossipy and fun, it's also a nuanced look at the beauty and cruelty of a rarefied, bygone world." - People (Book of the Week)"The era and the sordid details come back to life in this jewel of a novel." - O: The Oprah Magazine "Shamelessly gossipy . . . a catty, juicy read that's like a three-martini lunch." - USA Today "[Captures] the mesmerizing sparkle and scandal of New York high society in the 1950s." - Chicago Tribune "Tantalizing . . . Readers will fall into a world of glitz, glamour and the exciting life of the rich and famous. The details and conversations are so rich, you may forget you're reading a novel." -Associated Press"Highly entertaining." - The Washington Post "Take Gossip Girl and move it to the 50s." - theSkimm "[Melanie] Benjamin has given us a compelling look at an American icon, a talented yet vulnerable man, and the complex woman he loved in his own distinctive way." - The Philadelphia Inquirer "The strange and fascinating relationship between Truman Capote and his 'swans' is wonderfully reimagined in this engrossing novel. It's a credit to Benjamin that we end up caring so much for these women of power, grace, and beauty-and for Capote, too." -Sara Gruen, New York Time s bestselling author of Water for Elephants "A delicious tale . . . Melanie Benjamin has turned Truman Capote's greatest scandal into your next must-read book-club selection." -Jamie Ford, New York Times bestselling author of Hotel on the Corner of Bitter and Sweet "Reading The Swans of Fifth Avenue is like being ushered into a party where you're offered champagne and fed the sumptuous secrets of New York's elite-without having to pay the price afterward. 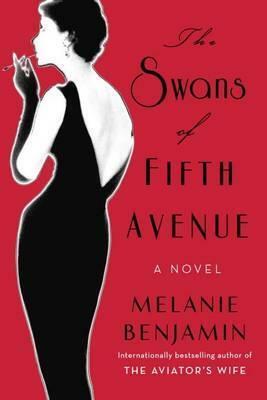 The swans are outmatched only by the elegance of Melanie Benjamin's prose-captivatingly earnest and sophisticated." -Vanessa Diffenbaugh , New York Times bestselling author of The Language of Flowers "Benjamin convincingly portrays a large cast of colorful historical figures while crafting a compelling, gossipy narrative with rich emotional depth." - Library Journal "The beautiful people of the fifties and sixties glitter in this riveting tale of betrayal and greed. . . . Irresistible, astonishing, and told with verve . . . not to be missed." -Lynn Cullen, bestselling author of Mrs. Poe "The season's must-read guilty pleasure, a delicious amalgam of wit, gossip, beauty, and scandal, meticulously researched and cleverly imagined . . . From Truman Capote's devious charm to Babe Paley's tragic glamour, Melanie Benjamin conjures, in vivid detail, a lost world." -Michael Callahan, author of Searching for Grace Kelly "A deliciously spiky novel of love and betrayal." -Alex George, author of A Good American "Heart-rending . . . at once gossipy, intimate, poignant, and astonishingly perceptive." -Robin Oliveira, bestselling author of I Always Loved You "A compulsively readable tale of friendship, betrayal, tragedy, and unconventional love." -RenÃ©e Rosen, bestselling author of What the Lady Wants"A beautifully written story of friendship, love, and betrayal, The Swans of Fifth Avenue is a fascinating look at a gossipy, glamorous world filled with brilliant and vulnerable people. Every moment of triumph and tragedy is riveting, and Melanie Benjamin makes this gilded world come alive in a funny and moving novel that captivates from the first page to the last." -Edward Kelsey Moore, New York Times bestselling author of The Supremes at Earl's All-You-Can-Eat From the Hardcover edition.